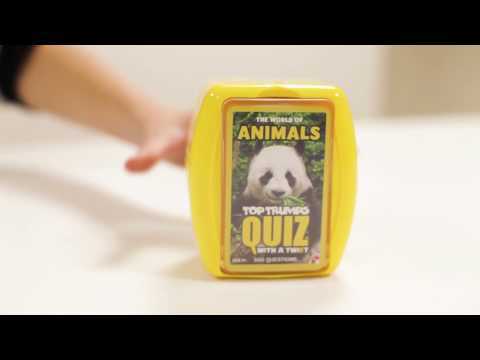 Home » Discover » Test your Animal knowledge with the all-new Top Trumps Quiz! Test your Animal knowledge with the all-new Top Trumps Quiz! Are you an animal expert? A wildlife wonder? Creature crazy? Then this brand new Top Trumps Quiz with a twist is for you. Venture into the World of Animals and answer 500 questions designed to draw on the whole family’s knowledge. Suitable for ages 7 and up, it also has the super Top Trumps Twist…feel your mind twist and turn in round 2, as you try and remember what you heard just moments ago. Find it online at the Winning Moves shop!